It’s hard to imagine there being no league football over Easter although it might be something we need to get used to in these days of international breaks. It’s strange, certainly for the older football supporters who were brought up on Burnley playing Friday, Saturday and Monday although that would never happen today. My first season watching the Clarets was 1960/61 and my first Easter saw us beat Nottingham Forest 4-1 at home on Good Friday, draw 2-2 at Leicester on the following day and then lose the return at Forest 3-1 on the Monday. It would have been a nightmare in these days of web sites, trying to keep up with match previews and reports, let alone anything else, but this weekend I’ve actually been searching for content with it all being blank at this stage of the season. At least I had the youth team game to report and there is another scheduled for tomorrow. I thought I’d have a look at what was going on around the other clubs in the Championship but there isn’t too much to report there either; even Aitor Karanka seems to have settled back into life at Middlesbrough. I was intrigued though to read of a potential move to Aston Villa for Steve Bruce. He’s the manager who once said a team is only as good as its strikers and he’s recently been bemoaning the fact that Hull couldn’t fund the signing of Andre Gray prior to him arriving at Burnley. I’m not sure what’s going on with Bruce and Hull to be honest. Twice he’s been linked with the Fulham job, last season so strongly he was declared as the favourite with the bookmakers. To be honest it is never that easy to know what’s going on at Hull full stop. A couple of weeks ago they revealed that a membership scheme would replace season tickets but fans were up in arms when many realised they would have to be relocated to lesser seats. They said there would be a review but the day after confirmed it would still go ahead although a review would take place offering hope for potential changes. Down at the other end of the table there is no news on a managerial appointment at Bolton. They are now, undoubtedly, looking for someone to manage them in League One and Phil Brown, who is already there with Southend, remains the favourite. Fans were asked who they would like in the Bolton News. That’s always fun as we’ve found out when we’ve been searching for a new man at the top. There are the usual nonsensical suggestions and they are no different than us in throwing up names of former players, although there seems to be no reference to any 12 goal legend currently working in America. There won’t be either, he’s one of the people they blame for the state of the club. One or two recent Premier League managers such as Nigel Pearson and Garry Monk were thrown in, but for a bit of reality, one fan suggested John Coleman because he’s worked wonders on a tiny budget at Accrington. The best suggestion, I thought, was Eddie Davies so he can finally understand the damage this last twelve months has done. It’s not the last twelve months you need to concern yourself with; I’d try looking at long periods during the previous twelve years. The big Championship shock, I’d suggest, over the past week is that Steve Evans is still in work at Leeds. It baffled me. I didn’t think promotion was a priority and, even if it were, I don’t think I’d be making too many comments about the last time they were in the Premier League. I’m surprised they didn’t mention a Monday night win against Newcastle that season when Kenny Miller scored the only goal of the game; it was their only win of the season. To be fair they did get eight draws too and they were only 26 points from safety at the end of the season. Steve Howard played in that season for them. It must have had a dreadful effect on him given that in the same newspaper he’s suggesting there is no reason why Derby can’t emulate Leicester. That’s it then – no Burnley news – oh, hang on a minute. 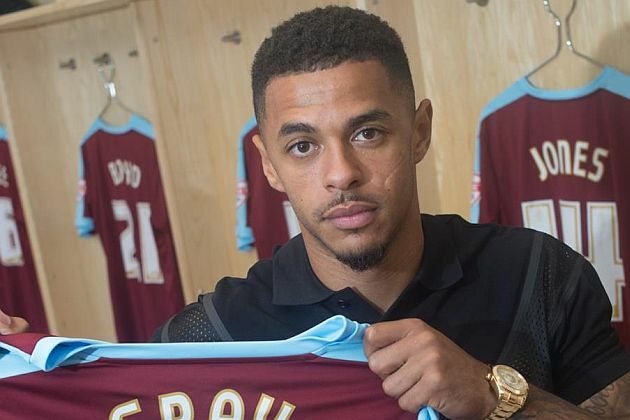 According to the Birmingham Mail, two of the five players desperate Aston Villa should make a move for in the summer are Joey Barton and Andre Gray. This is another publication that seems to think we spent £9 million on Gray but they have rightly suggested the chance of signing him could be slim. As for Barton, they think he won’t be everyone’s cup of tea, now will the fans like him as a player, but what he possesses is fight. Did I say desperate? I reckon that’s desperate and deluded. As a matter of interest, the other three players were Barry Bannan (Sheffield Wednesday), David Marshall (Cardiff) and Tom Ince (Derby) with his dad thrown in on a free season ticket. Of course, their chances of getting Gray and Barton are increasing because they are also getting Sean Dyche as manager as and when they finally decided to correct the wrong and dispense with Remi Garde, a less inspiring manager I’m struggling to think of. Would Sean be interested? He signed a new deal recently but, like the previous one, is a rolling contract, and in a report only yesterday he said being Burnley manager is not a forever story. There are plusses in a move to Villa and they certainly include it being geographically more convenient for him and his staff, and, without doubt, they are a bigger club than us. But he did add of being Burnley manager: “I am happy with what we are trying to achieve here. It’s a real challenge, it’s earthy, it’s raw.” He must smile when he sees the work going on at Gawthorpe. Without his management taking us to the Premier League, I doubt we’d have seen any of the new pitches in place and I’m certain the place wouldn’t be resembling a building site as it currently does. I can’t be convinced that, no matter what positives, he would give up another year in the Premier League, should we make it, to take on the inevitable Championship job at Villa Park. Sean has his favourite phrases. He talks of players being back on the grass, of the internal stuff being in the building and the press comments as outside noise. He mentions, occasionally, as he suggests, things such as framework and being relentless, of one game at a time and mantras. He also talks about a disappointment becoming an opportunity. When Charlie Austin left on the eve of the 2013/14 season, he said, despite his obvious disappointment, that it was an opportunity for someone else. That someone else, in that instance, was Sam Vokes. Last weekend Joe Hart suffered an injury. That got Tom Heaton back in the England squad for the friendlies against Germany and the Netherlands. We didn’t expect him to play in either, and the likelihood is that he won’t, but, although Hart will be back soon, Jack Butland has now been ruled out of the Euros with a fractured ankle. It’s bad news for Butland and for England but it is an opportunity for someone else. Although Sky can’t see past the Premier League and were suggesting Ben Foster this morning, I think Tom now has a more than realistic chance of being in our squad. If Roy Hodgson does plan to have him in that squad then surely he’ll get some game time in one of the friendly internationals in May and June. We play Turkey at the Etihad and Australia at the Stadium of Light before meeting Portugal at Wembley. Could Martin Dobson finally be crossed off the board as our last England international? Soon after Dobbo broke into the England squad, we sold him to Everton. What a coincidence that Tom’s been heavily linked with them in the last week. So that’s him, Gray, Barton and Dyche going apparently and with so many clubs watching Michael Keane, it could be a big rebuilding job for the new manager in the summer. There’s some football to watch next weekend.